One of the best parts about home business improvement projects is that many of them can be handled on your own over the course of a weekend of perhaps even in the evenings after you get off of work. Things like painting and switching out appliances is a breeze. Even putting on a new deck outside is something that only requires a moderate level of experience. For other projects, however, you’re going to need to hire the professionals, and thus you’ll need some good advice to follow to help you get the right team for the job. Instead of simply flipping through the Yellow Pages to find a good sales contractor, you should find a contractor specific to the task you want completed. For instance, if you want to install a new bathroom, hiring a general handyman service isn’t something you should do. 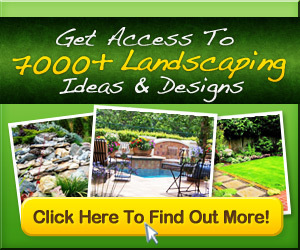 You should instead find a business service whose expertise is in bathroom remodeling. This is the only way to ensure that you’re getting the best possible work. When you do find a good contractor that you’re thinking about going with, you need to realize that this is only the first step in the process. Next up is the vetting process. You need to thoroughly research the company you’re thinking of hiring. Since you’re going to pay a lot of money and will have to live with the work they do, you should ensure that you’re getting quality work by researching the company. When you’re researching the company you want to select, it’s important that you look beyond the reviews they’re receiving. Sure, a company out there might do great work and might even have a trail of happy customers lining up to sing their praises. However, this doesn’t mean that the company is officially licensed. Find a licensed company. Another thing you want to check out about the company is whether or not they’re insured. The last thing you want is to be on the hook for any damages that happen. If they cannot afford to pay due to a lack of insurance, you may end up dealing with the courts to cover expenses. Companies without insurance just present too much of a risk. You might locate a great company, but if they’re attempting to charge you too much for the work, you might as well keep looking. While it is true to an extent that you get what you pay for, you also have to realize that there’s a lot of competition out there. You should never give way to overcharging. Finding one good contractor is only your starting point. 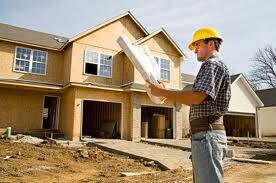 Once you find and review a great contractor, you should find a few more using the same methods. This way you’re covering all your bases and will end up hiring the best team possible to handle your improvements. Don’t neglect this step. You really need to weigh your options. It’s not hard work to hire a great contractor. It only requires a little bit of dedication on your part. Don’t forget to use these business tips to help you get the best contractor for the job.